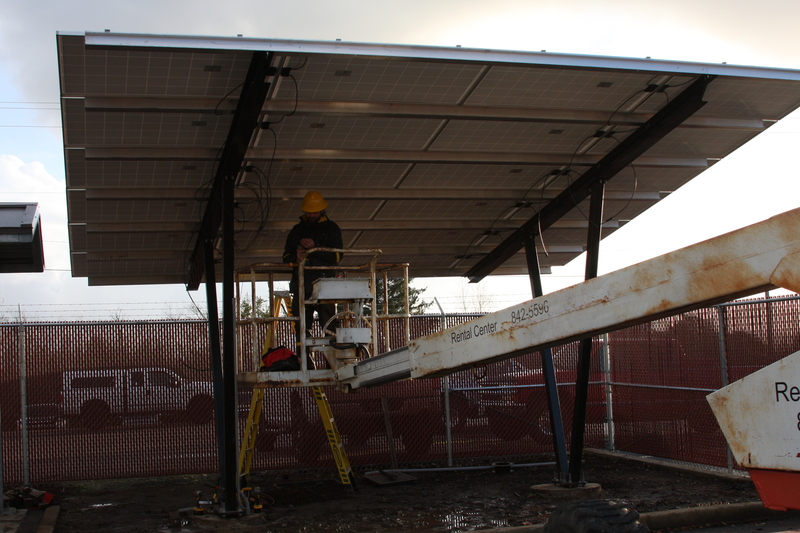 Tillamook PUD Headquarters | CE - Clean Energy. Bright Futures. 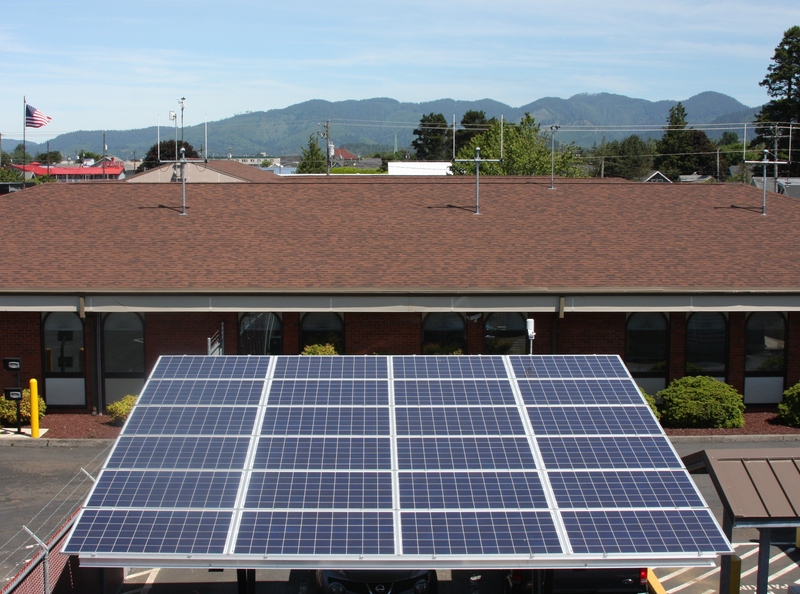 In 2012, the Tillamook PUD installed a 6-kilowatt photovoltaic (PV) system at their main office in Tillamook, Oregon. This system is visible to the public and will be available as an educational tool. 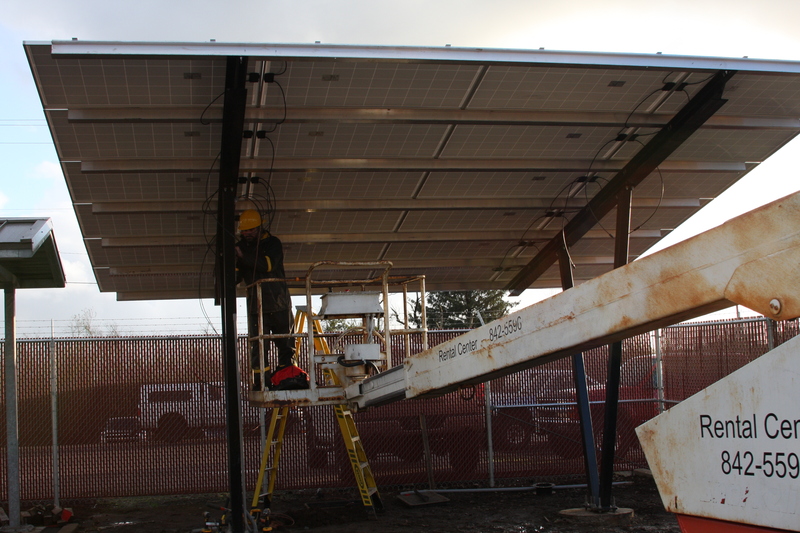 The system is comprised of all Oregon-made products; the SolarWorld PV modules were made in Hillsboro, the PV Powered DC-AC power inverter made in La Pine, and the SunStorage parking shelter made in Enterprise. These products could all be part of a residential or business installation and have been installed to model all PUD code requirements. 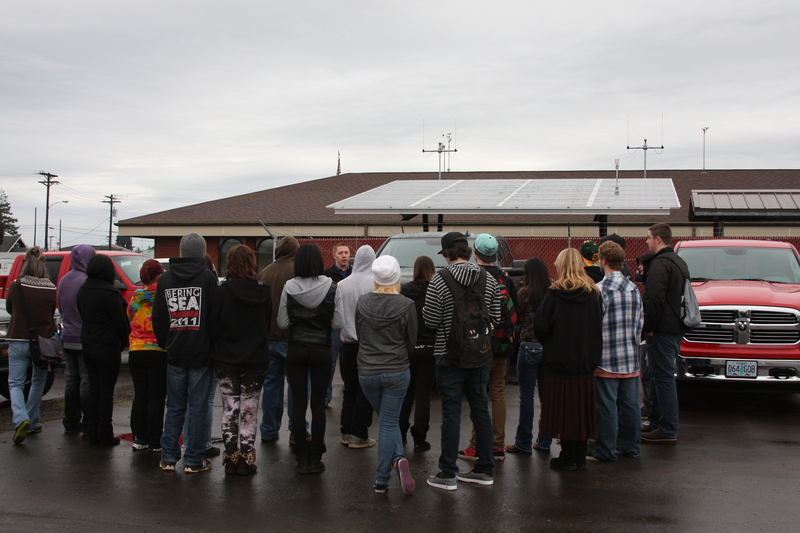 Energy monitoring services provided to the school in 2013 by Solar 4R Schools has connected the live performance data from their PV system to the Energy Exploration Center at Solar4RSchools.org. Students and educators nationwide can chart, graph and analyze the system's performance data for educational purposes. 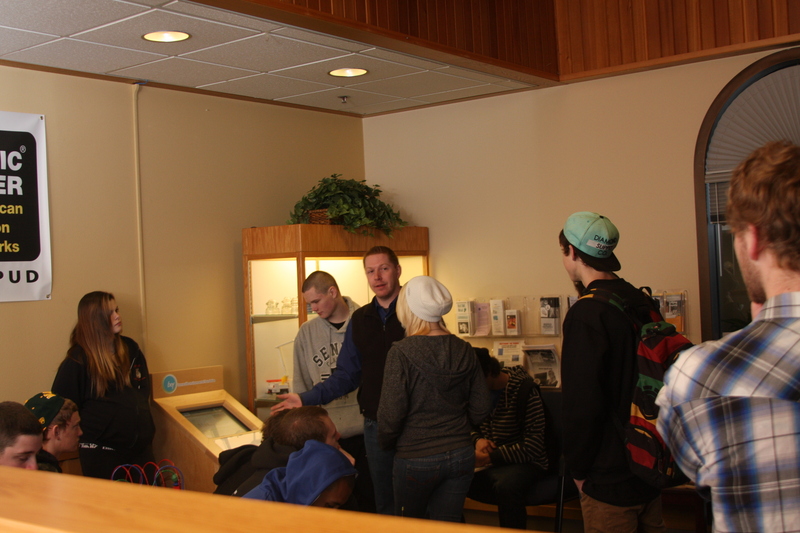 A touchscreen kiosk placed within the PUD lobby allows employees and visitors to interact with the system's live performance data while learning about the science and benefits of renewable energy.